Do you run a business wherein you process credit cards or debit cards via a shopping cart? If so, you must know that the real card may not be able to swipe. This transaction is known as ‘card not present’ and involves risk for you from the security point of view. So, is something possible to be done and save the business from fraud or theft? 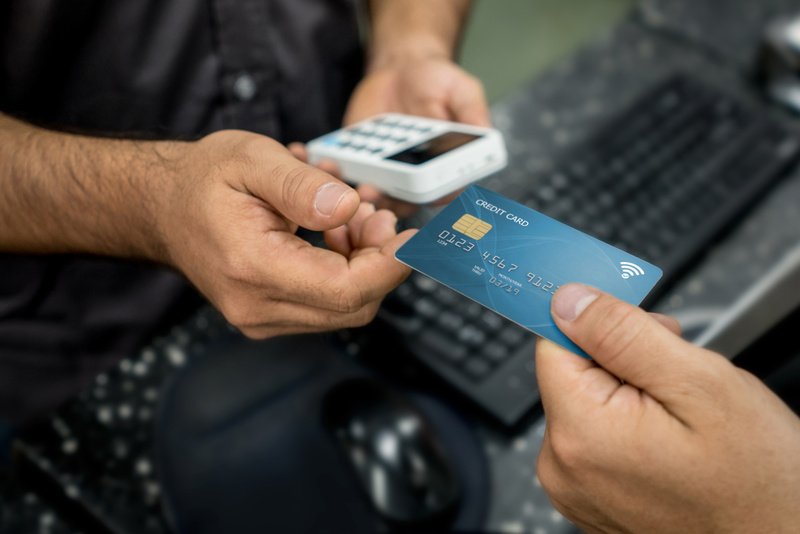 Unfortunately, there is no perfect solution; however, there are certain practices that help to lower the risk level during credit cards and debit cards processing through a website shopping cart, if followed the right way. Let us take a look at 10 ways that are proven to keep you secure while accepting credit cards online. 1. Take complete information from the cardholder: Shopping cart must require details like name, phone number, email address and personal address. Follow-up with phone call is important if billing address and shipping address are different. In case of inability to reach out to the customers or if there seems something doubtful behind the address, it is suggested not to proceed with the transaction. 2. Always cross-check card information: Ask for the account number, its expiration date and security code. Expiration date and card security code have to be included with transaction authorization. The transaction must be canceled if either of them does not match or a negative response is received. 3. Authorize every transaction: For every transaction, you must receive an approved electronic authorization. 4. Don’t use voice authorizations: If obtaining an electronic authorization is not possible at the moment, it is good to try again after some time. Using authorizations must be ignored, as they are impossible to be used when fighting a chargeback. 5. Refrain from forcing authorizations: If the electronic authorization is rejected, it is possible to request for an alternative payment method. Transaction should not be forced as there is no protection in matters of chargeback. 6. Use Address Verification Service (AVS): Purpose of AVS is to compare the billing address that is provided by the customer with the one that’s on the file with the card issuer. In matters of mismatch of AVS, transaction must be canceled. However, if reason behind the mismatch is data entry error, customer should be contacted. 7. Fraud detection tools should be added to the shopping cart: Gateway provider must be asked about fraud detection tools they offer. For instance, Velocity Filters help to detect when the same card is used to make multiple purchases in a certain duration of time. It is also used when several attempts are made from a particular IP address in a specific time frame. 8. Add a CAPTCHA code to the shopping cart: This is because CAPTCHA code helps to determine that the card is used by an individual and not by any program or robot. 9. Settle transactions daily: To decrease higher transaction fee and also bring down the disputes from cardholders, it is good to set a daily batch. 10. Trust your very own instinct: When a situation seems too good to be a reality or a customer comes to place a large order under weird or suspicious circumstances, things are not smooth and some questions need to be followed up. It is important to know that things beyond the norm are fraud. Being alert and asking the required questions when things look troublesome, helps to lower the level or risk, such as chargeback or frauds that are possible while processing cards online. Hopefully, these 10 tips will help you stay away from risks that are potent to bother you with dilemma or unfavorable outcomes.